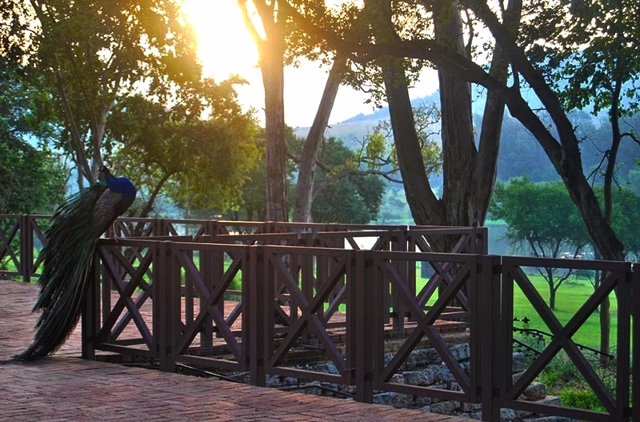 Nestled below the Swartkop Mountain Range next to the Cradle of Humankind only thirty minutes from Johannesburg and Pretoria Central and only 15 minutes from Lanseria airport. 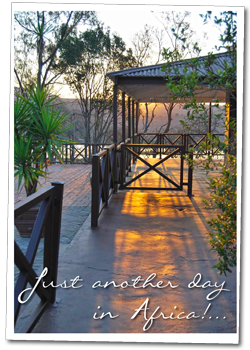 Eduzani is a secluded, tranquil resort - and as one of only a few Muldersdrift lodges in the area - Eduzani serves as the prime venue for conferences, team-building events, weddings and private functions. Experience magnificent views of Lake Heritage and roaming wildlife from neighbouring, Heia Safari Lodge; whilst sipping on a cocktail at Sunset Lounge. Sunday Lunches are becoming increasingly popular due to the wonderful, relaxed country atmosphere; piping hot pizza's and mouth-watering A la Carte menu on offer - all at affordable prices. Join us for a lovely day outing with the family at Eduzani’s Sunset Lounge and you'll soon see why this picturesque venue is the venue of choice for private functions and company functions alike. Bookings are essential. Accommodation is also available - with 30 twin rooms, 5 Bungalows & 1 Bridal Suite - making this country lodge the perfect escape from the rushed urban lifestyle. 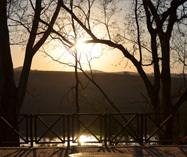 Ekudeni is ideally situated only 30 minutes from either Pretoria or Johannesburg. Not only is this an excellent venue for weddings, it also serves as a purpose built conference and team building venue. Experience our tranquil lounge bar, offering appetizing cocktails and snacks in a peaceful atmosphere with magnificent views over Lake Heritage. Copyright © 2013 Eduzani Wedding & Conference Venue. All Rights Reserved. Website design and Online Marketing by M Design Graphic & Web Studio.